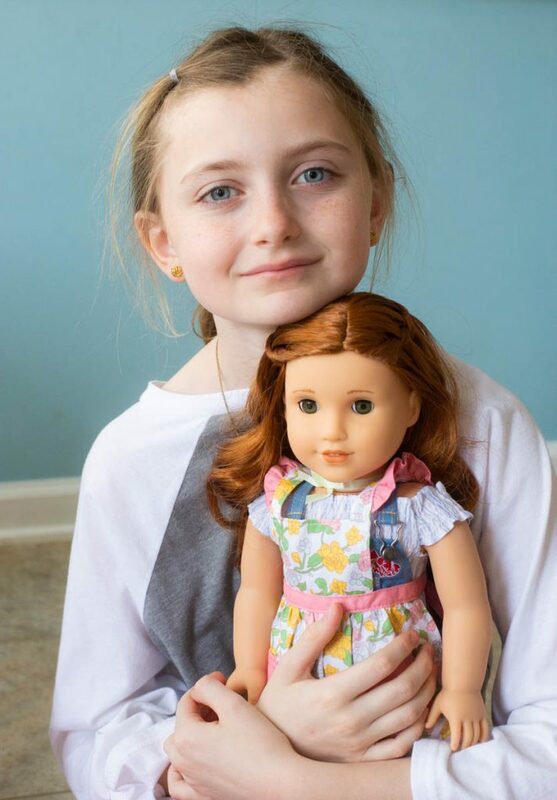 Meet Blaire Wilson, the American Girl doll of the year for 2019. Blaire is a chef-in-training, party planner, and chicken wrangler at her family’s farm and restaurant. Don’t miss our giveaway of a Blaire Wilson doll at the end of this post! Spring is the best time to get in the kitchen and cook with your kids. 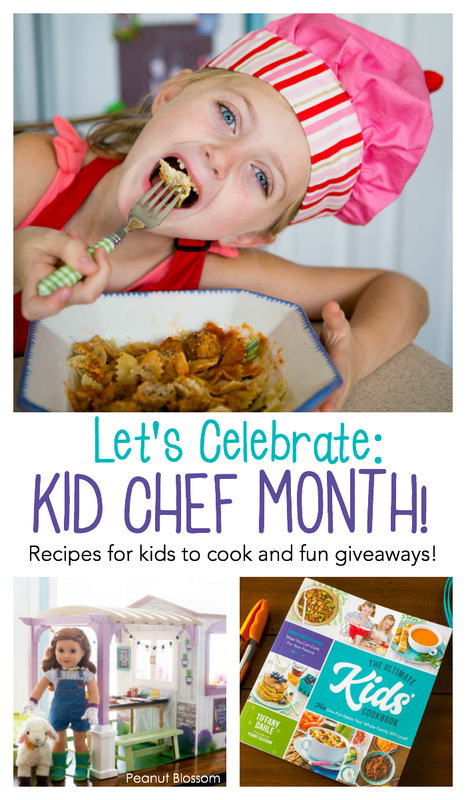 I know many of you are looking for some fun spring break activities to do at home, so with that in mind I am crazy excited to announce that we are celebrating your kid chefs all this month. I’m going to be sharing kid-friendly recipes, gardening activities, and more that are just perfect for inspiring your little chef. 1. 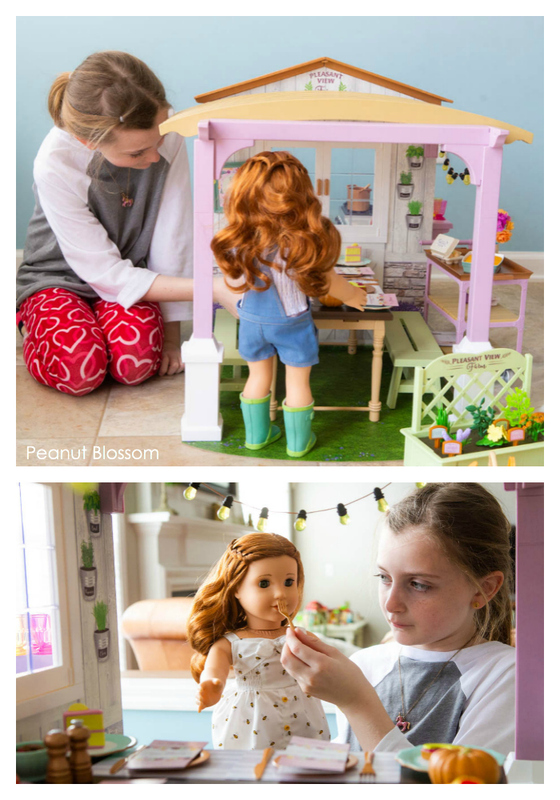 A fun behind-the-scenes story from my life and why American Girl means so much to me. 2. An introduction to American Girl’s Doll of the Year for 2019. She’s the best! 3. Why cooking with your kids matters so much. 4. 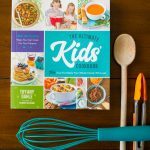 A giveaway of four copies of my cookbook for kids, The Ultimate Kids’ Cookbook AND one Blaire Wilson doll from American Girl. Skip to the giveaway here. First a funny personal story: Life has a crazy way of coming full circle sometimes. My favorite job I ever had was working for American Girl creating content for girls on their web site. I spent two years learning about every American Girl character so I could help produce a game or activity based on her story that would engage young girls online. Every day I was surrounded by American Girl dolls and all their many accessories. I sat in on American Girl magazine meetings and witnessed the passionate attention to detail every employee had for bringing these dolls to life for young girls through content. All the while, I dreamed about having girls of my own to share American Girl with someday. 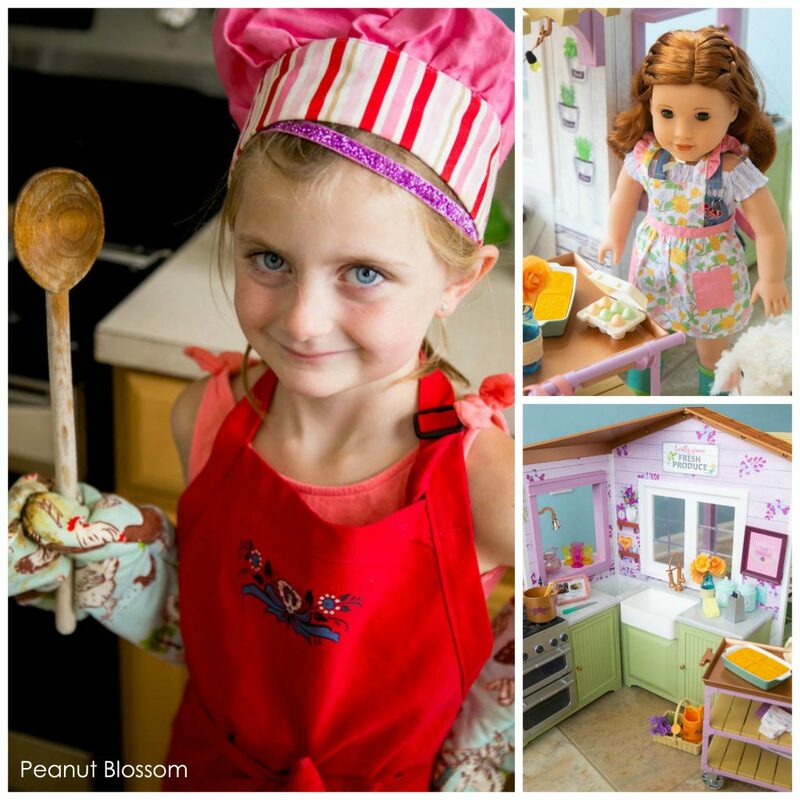 So it can only be pure fate that as Little Pea enters the perfect age range for the dolls that the 2019 American Girl Doll of the Year is Blaire Wilson, a chef-in-training and party planner who’s family owns a farm-to-table restaurant. I literally squealed with joy when I received the email from their PR department about Blaire and her story. Never in the history of American Girl has their been a doll that is more perfect for my girls and me. Before we continue, I have to tell you that this post is absolutely not sponsored. When I learned about Blaire, I just had to write this review. My friends at American Girl were kind enough to send me her world so that I could share her with you. They were also generous enough to let me host a giveaway of a Blaire doll for one of my lucky readers! Be sure to check out the end of this post for more details. My favorite thing about American Girl dolls is the depth of detail in each character’s story. They have an entire department of researchers that delve in and help create richly accurate representations of snapshots in history. With the modern dolls of the year, American Girl tries to inspire girls with stories that reflect the challenges they face in today’s world. Blaire’s challenge is one that I immediately connected to as a mom — balancing the pull of an online world and endless screens with the more important real world face-to-face relationships I want my girls to develop. Staying connected. Spending time together grows relationships, and Blaire teaches girls that real-world interactions are the best kind of social media. Finding balance. Discovering creative inspiration online is exciting, but Blaire must learn to keep a healthy combination of tech time and real time with friends. Even more importantly, I absolutely fell in love with how Blaire and her family run a farm-to-table restaurant. Her story and her accessories feature a foodie theme that is just perfect for inspiring young chefs. I’m a strong proponent for encouraging picky eaters to try new foods by inspiring them to cook meals for their families. 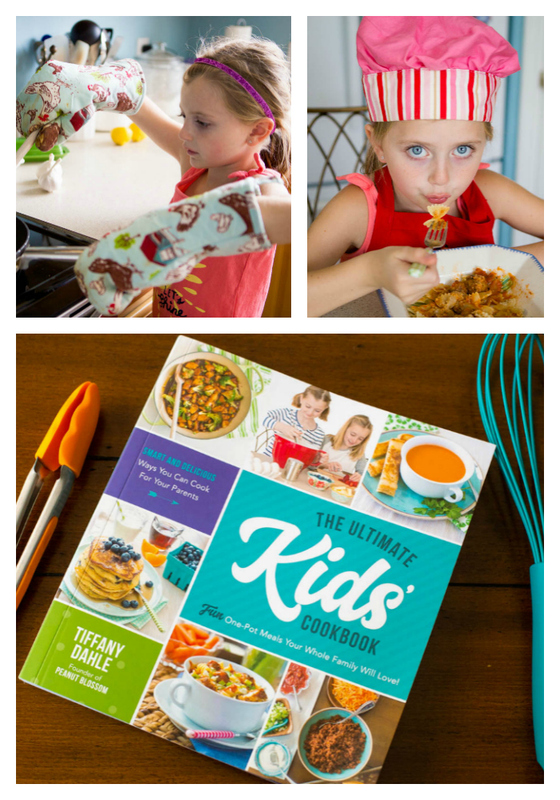 That idea is at the very heart of my cookbook, The Ultimate Kids’ Cookbook. I have witnessed firsthand my own reluctant eaters change their mind about a vegetable after they prepared a dish on their own and finally had the courage to taste it. Blaire is a modern girl who likes to save her recipes on her tablet, but she grows her ingredients right on the farm. The dishes she prepares appeal to grown-up tastes just like the recipes in our cookbook. We spotted salmon, avocado toast, and tomato caprese torte in her accessories. Her farmhouse kitchen has the best of both worlds and features modern appliances I’d swoon to have in my own kitchen along with cozy country baking ingredients like eggs, flour & sugar, and cornbread. Her world is filled with amazing tiny details like a mason jar with flowers and a wedge of parmesan with a cheese grater that make her kitchen feel gourmet yet totally relatable for families. 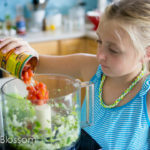 I am so thrilled about Blaire and the connection our family has made to her cooking story that I want to celebrate all month long! 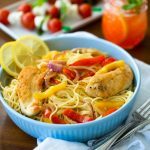 Check back soon for a simple Italian meal your kids can cook that looks a lot like the dishes Blaire has in her kitchen. I also have planned a fun gardening activity that will be perfect for your patio based on Blaire’s veggie garden. Win a copy of my cookbook! 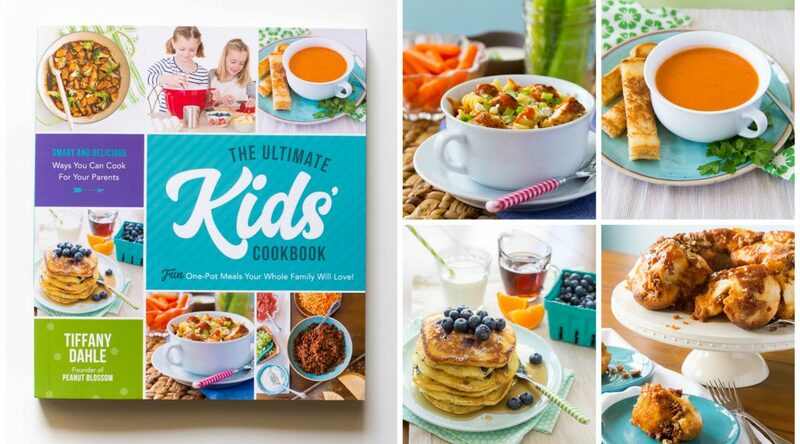 : My awesome publisher, Page Street Publishing has agreed to give away one copy of my cookbook, The Ultimate Kids’ Cookbook every week all month long! I’ll announce the winners each Friday in April. Week 1: Congratulations to Annette! Week 2: Congratulations to Natasha! Week 3: Congratulations to Ellen! 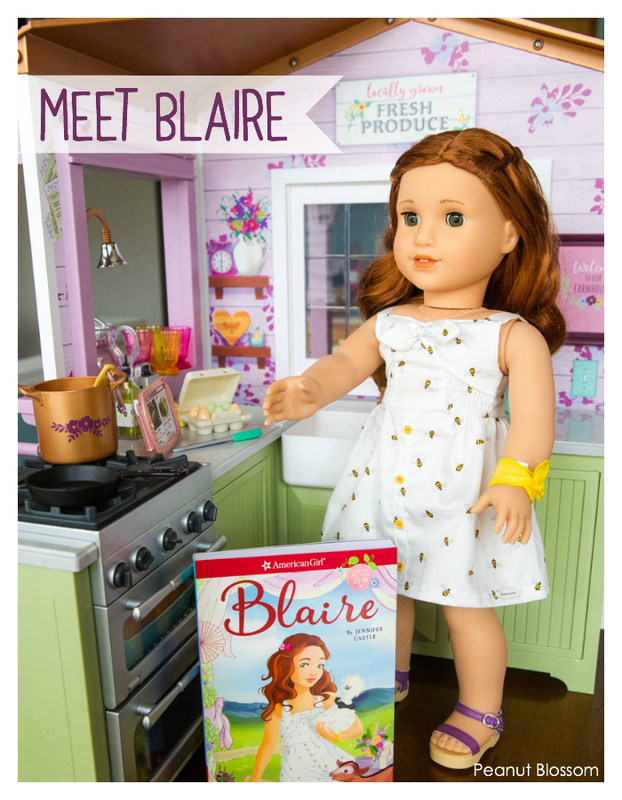 Win a Blaire doll! 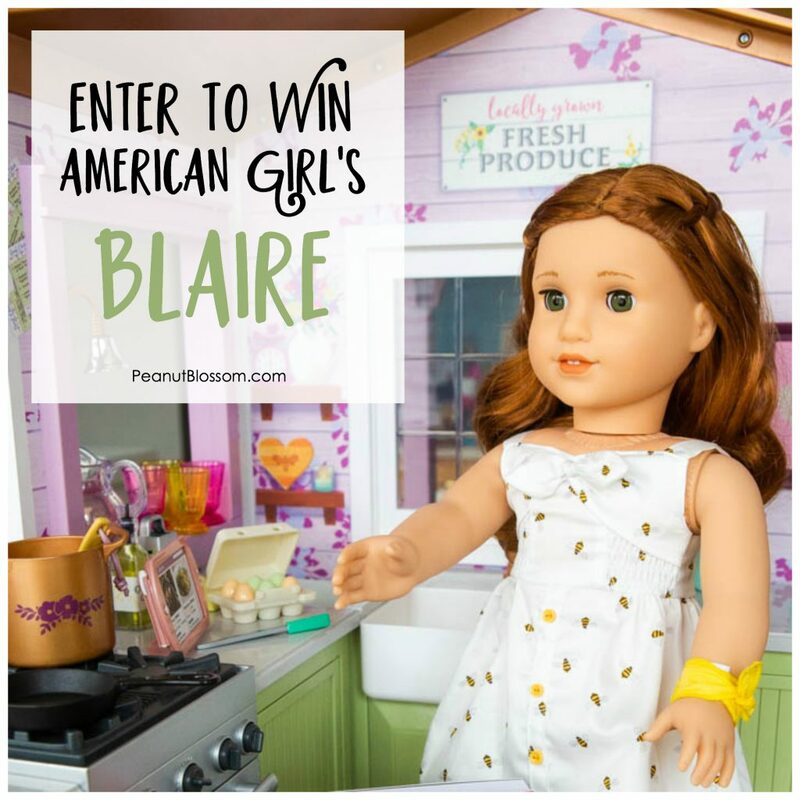 : American Girl will be giving away one Blaire doll and book to one of my lucky readers. You can enter to win all month long and the winner will be announced on May 1. *Giveaways are for US residents only, so sorry to our international friends. Yay! What a great giveaway! Can’t wait to show this to my chefs-in-training. My daughters love to help me make cupcakes their most favorite food! My daughter’s love to make cupcakes and cookies. My daughter would love Blaire because she’s a chef in training…she loves to bake! My daughter has one american girl doll that she loves! My kids love making waffles!!! Welcome back, Tiffany! I’m looking forward to getting ideas on what to get my kids to eat that isn’t their usual favorite Dino-shaped chicken nuggets! And your collab with AG is amazing! MY 2yo would love playing with her and putting her in her Melissa & Doug shopping cart! Pan cakes! Favorite thing to cook and eat. Yes, Blaire would be loved. 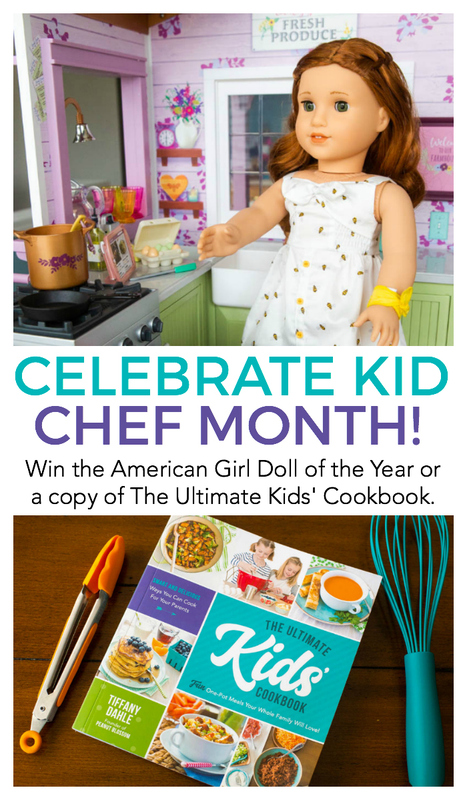 My daughter has your cookbook and would love an American girl doll! Love it! It was meant to be! What a sweet story! My daughter loves to bake with me and really loves to bake recipes she has tried out in a baking class. My daughter would love Blaire because the doll looks like her mother. My daughter loves to plan parties and would love it if I allowed her to cook and bake more. She also has lots of friends with food allergies. My niece would love the Blaire doll! They both have red hair and they love to cook and bake! Right now my niece is learning how to cook scrambled eggs and loves them! My daughter, Vee, has recently fallen in love with AG dolls partially due to her dancer friends. V LOVES to cook with me and would probably think it is super cool that this one does as well! Oh my goodness! I love that you have two giveaways going on here. My daughter keeps asking for Blaire because she has red hair just like her, but the book would also be fun. Her favorite thing to eat is strawberries, and I think cooking could help her branch out in tastes. 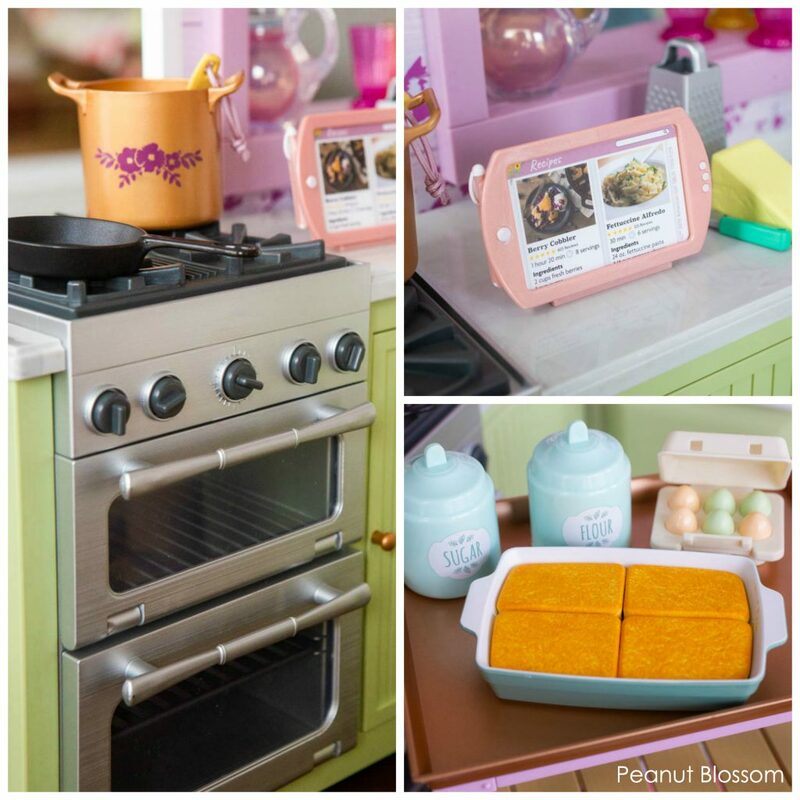 Cooking is such a wonderful activity for children. Teaches math as well as healthy habits. Blaire’s story seems like one that I would love my granddaughter to enjoy. My niece loves to eat scrambled eggs! My kids really just love pizza. They’re horrible eaters. My oldest daughter (8) is just beginning to discover the joy of cooking. Her favorites, anything she can bake from cookies to cake. This cookbook will help her expand her list of favorites and hopefully find some healthier favorites too. Mix this with the new American Girl Blaire – she would be on cloud nine loving this doll! She absolutely loves American Girl and would love getting to know and play with Blaire.